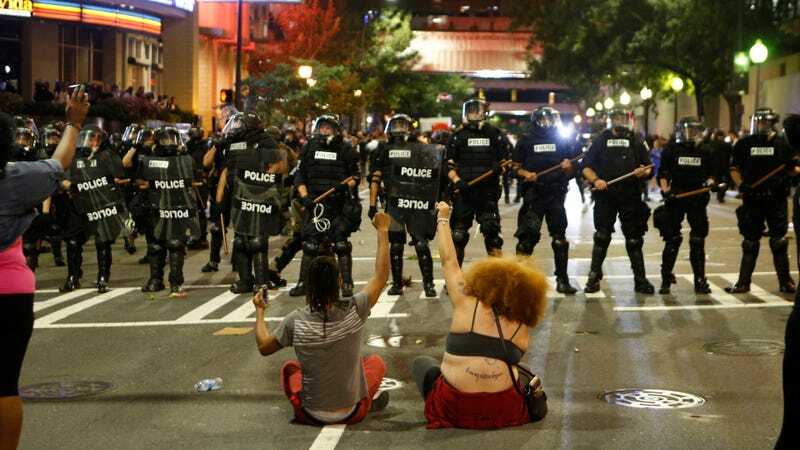 Protests in Charlotte built to a head tonight as one man was shot and several were injured in clashes between armed riot police and the protestors they were trying to dislodge from downtown Charlotte. Jalopnik’s Justin Westbrook was on the scene for us, and he captured a series of livestreams from the action. Photographers were also there en masse, and they captured several very good shots from the front lines.